At Android Review Center we usually take a cold, functional look at things, judging and writing about apps and smartphones and everything else as we see them, at face value. We did write that Android Smartphones should be able to be a mobile office, a mobile communications center, a mobile entertainment center and lately we added a safety and security use. But there is another thing that our smartphones should do. Let's think about this. We have our smartphones with us all the time, we use them for almost everything (look at the four subjects outlined above) and every piece of conceivable information and media are available for us to consume and there are THOUSANDS of apps that do exactly that. So, the question remains, if all apps deliver more or less the same info, which should we choose? Our answer, especially after seeing and working with Amber Weather, is that we should choose the most beautiful app. What does Amber Weather do and what's so special about it? 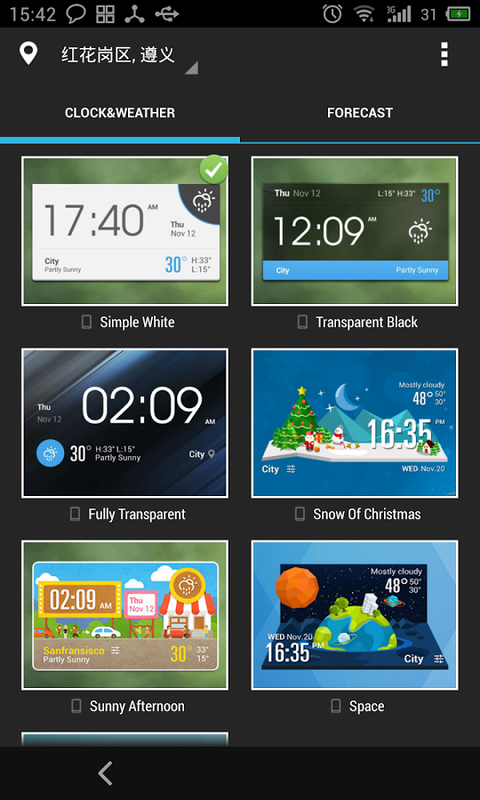 Amber Weather is a weather display app that provides widgets to be placed on the homescreen. 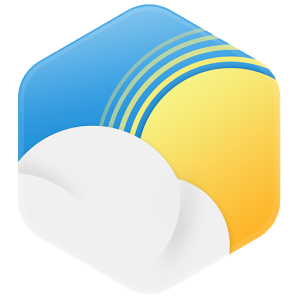 The app provides detailed weather reports on right on the homepage, complete with humidity, forecast, location based and with alerts showing up on the smartphone's notification bar. Of course, the widgets automatically adjust for any screen resolutions and tablets' display. Now, most weather reporting apps support most of the features outlined above, though Amber Weather does add some nifty things such as transparent widgets, multiple weather sources and elaborate push notifications to be shown on the smartphones' notification bar. However, even these features are not what makes Amber Weather special. 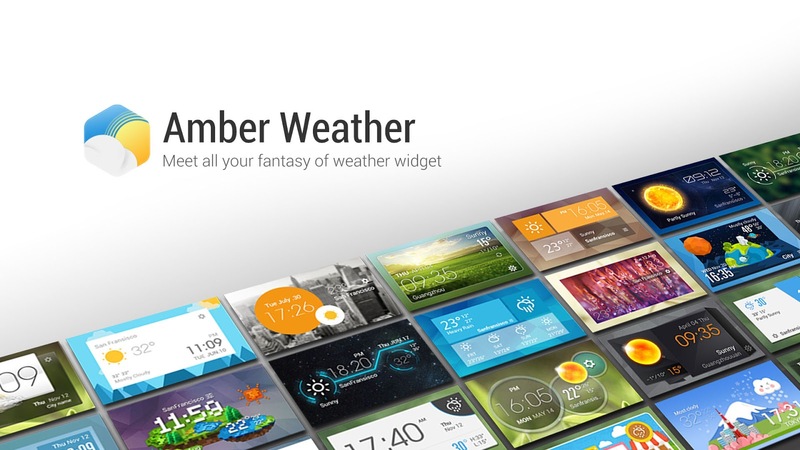 Amber Weather has the best looking, most professional and most beautiful widgets we at Android Review Center ever had the pleasure of seeing. The widgets are designed by professional designers and it is clear a LOT of effort has gone into making them but all we care about is the large collection of breath taking widgets available, with more becoming available each week. Beautiful interface is not just a luxury, a nice to have feature. Beautiful interface can transform our entire smartphone experience and Amber Weather does exactly that. Remember, everyone looks at their smartphones HUNDREDS of times per day. The importance of a pleasing user interface can not be over stated. We hope we made our point. A weather app that displays the weather and forecast, sends notifications and alerts, can work with several weather info sources and comes with gorgeous weather widgets to be placed on the homescreen is something we love, and no one can blame us.